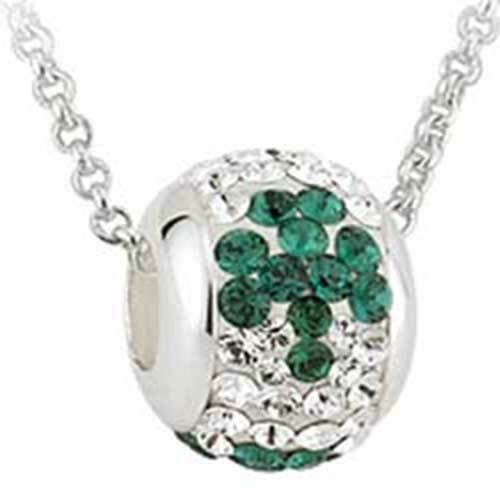 Sterling silver necklace features a shamrock bead with green and white crystals. This sterling silver necklace features a bead with green crystal shamrocks that are surrounded with white crystals. The double sided shamrock bead measures 3/8" wide and it includes an 18" long sterling silver chain. Sterling silver shamrock charm features two green crystal outlines in the white crystal field.